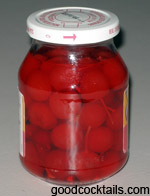 Drain a jar of maraschino cherries. Fill it up with grain alcohol or vodka. Let it sit for at least one week.